Cabin living at WorldMark Estes Park doesn't mean rustic--you can choose from studio units with small kitchenettes to three-bedroom cabins with full kitchens and gas fireplaces. 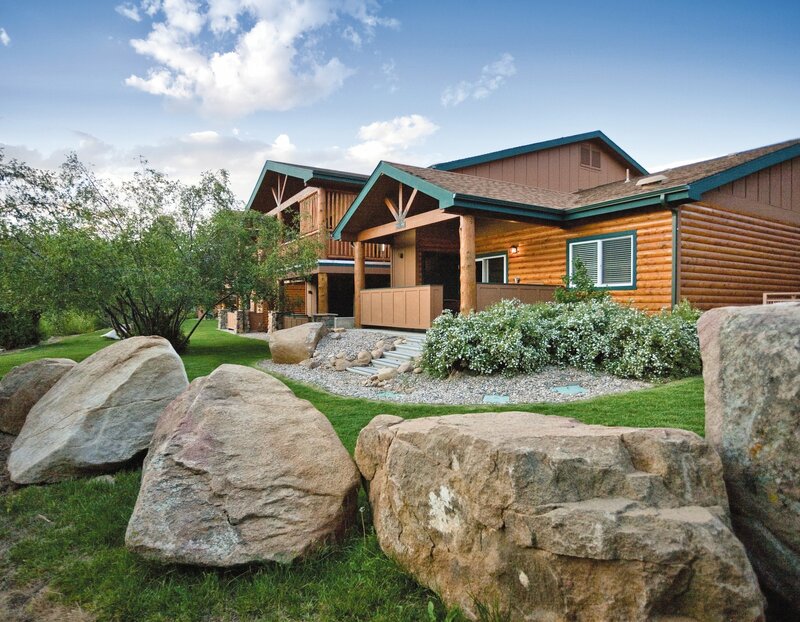 Plus, your resort is situated on the Big Thompson River, and wildlife surrounds you. Take a walk to the river's edge to fish for trout, or pack a lunch and spread out on the spacious lawns. And don't be surprised if you see and elk or two from your window or porch.